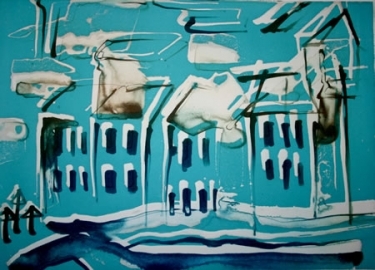 Julie Scarr has been recently working with print processes and techniques. This is the first production of a variety of prints including drypoint, screenprints, monoprints, photopolymer solar and hybrid prints. This has been an exciting new departure for Julie having not used these processes since 1986. Her most recent exhibited work (not shown here) has been entirely conceptual and abstract in content.